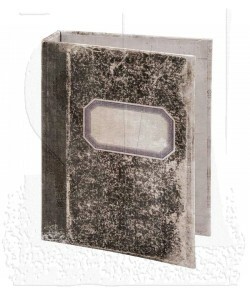 A worn book-board cover including a two-ring binder to create custom journals. Works with page pockets, pocket cards, and binder punch. 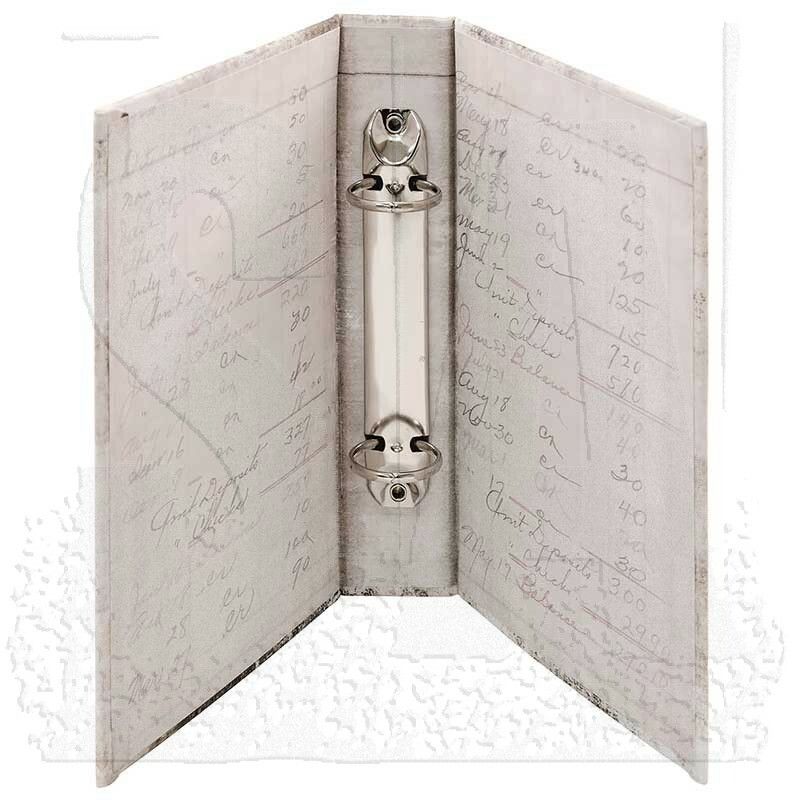 Includes attached Ring Binder. 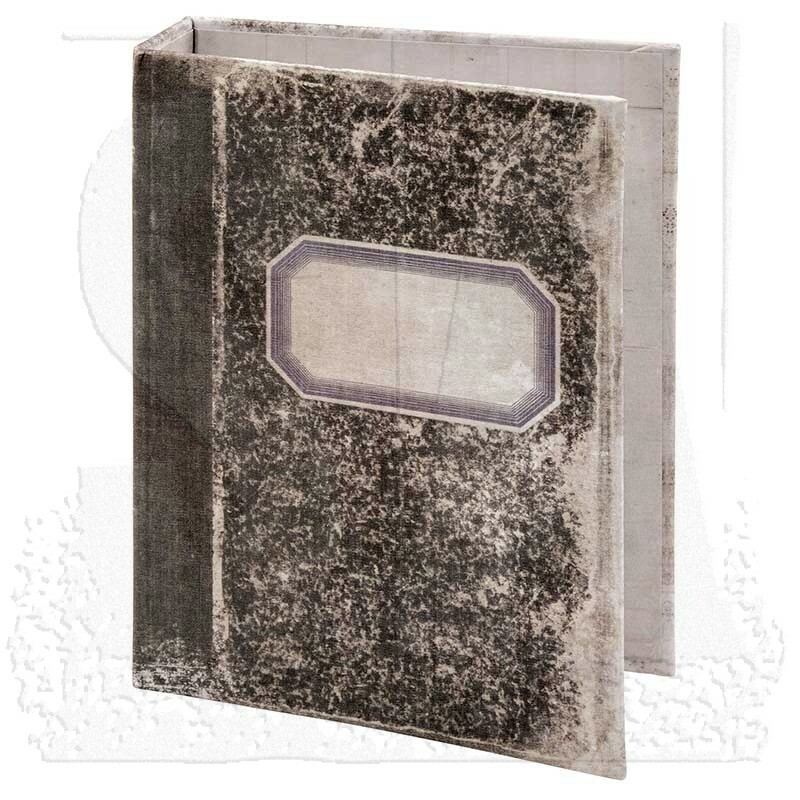 Notebook Worn Binder measures approximately 5" x 7" x 1".